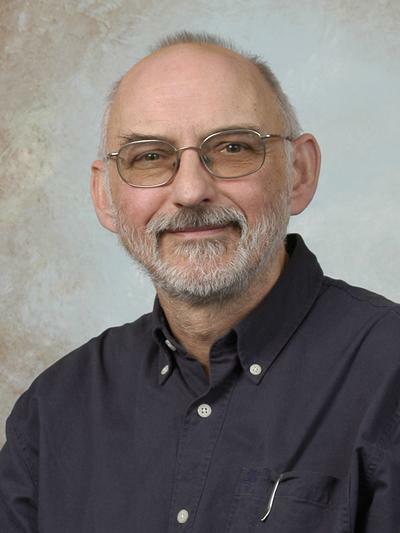 Peter Statham is Emeritus Professor of Marine Biogeochemistry within Ocean and Earth Science, National Oceanography Centre Southampton at the University of Southampton. Importance of the atmosphere (SOLAS) and sediments as a source of iron and other elements to the ocean. Development of in situ sensors for use with autonomous underwater vehicles to for high resolution studies of trace element biogeochemistry. Burton, D., & Statham, P. (2012). The origin and evolution of the UK's Marine Chemistry Discussion Group. Ocean Challenge, 19, 12-14. Steigenberger, S., Statham, P. J., Volker, C., & Passow, U. (2010). The role of polysaccharides and diatom exudates in the redox cycling of Fe and the photoproduction of hydrogen peroxide in coastal seawaters. Biogeosciences, 7(1), 109-119. Rehkamper, M., & Statham, P. J. (2009). A new methodology for precise cadmium isotope analyses of seawater (abstract of paper presented at: 19th Annual V. M. Goldschmidt Conference, Davos, Switzerland, 21-26 June 2009). Geochimica et Cosmochimica Acta, 73(13, Supplement), pA1467. Tappin, A. D., Statham, P. J., Burton, J. D., & Gellers-Barkmann, S. (2008). Distributions and fluxes of contaminant metals in the North Sea: comparisons between field measurements and model simulations using NOSTRADAMUS. Environmental Chemistry, 5(1), 51-67. Brinza, L., Benning, L. G., & Statham, P. J. (2007). Characterisation of Mo and V interactions with ferrihydrite as an analogue for deep-sea hydrothermal plumes processes (abstract of paper presented at: 17th Annual V. M. Goldschmidt Conference Cologne, Germany August 2007). Geochimica et Cosmochimica Acta, 71(15, Supplement), pA121. Pollard, R., Sanders, R., Lucas, M., & Statham, P. (Eds.) (2007). The Crozet natural iron bloom and export experiment (CROZEX). Special issue. Deep Sea Research Part II: Topical Studies in Oceanography, 54(18-20), 1905-2290. Dixon, J. L., Statham, P. J., Widdicombe, C. E., Jones, R. M., Barquero-Molina, S., Dickie, B., ... Turley, C. M. (2006). Cadmium uptake by marine micro-organisms in the English Channel and Celtic Sea. Aquatic Microbial Ecology, 44(1), 31-43. Statham, P. J., & Hart, V. (2005). Dissolved iron in the Cretan Sea (eastern Mediterranean). Limnology and Oceanography, 50(4), 1142-1148. Sands, C. M., Connelly, D. P., Edmonds, H. N., Green, D. R. H., Statham, P. J., & German, C. R. (2003). Hydrothermal plume processes in the Indian Ocean (abstract of paper to be presented at: AGU Ocean Sciences Meeting, 26-30 January 2004, Portland, Oregon). EOS: Transactions American Geophysical Union, 84(52, Supplement), OS113. Statham, P. J., Connelly, D. P., German, C. R., Millard, N., McPhail, S., Pebody, M., ... Webb, A. (2003). Mapping the 3D spatial distribution of dissolved manganese in coastal waters using an in situ analyser and the autonomous underwater vehicle Autosub. Underwater Technology, 25(3), 129-134. Lohan, M. C., Statham, P. J., Crawford, D. W., & Purdie, D. A. (2002). Decoupling of dissolved zinc and silicon in the upper water column of the Subarctic north Pacific. EOS: Transactions American Geophysical Union, 83(4 Supplement), p.OS335. Statham, P. J. (2002). Iron (II) oxidation rates in hydrothermal plumes at the Kairei and Edmond vent sites in the Indian Ocean. EOS: Transactions American Geophysical Union, 83(4 Supplement), p.OS205. German, C. R., Connelly, D. P., Evans, A. J., Murton, B. J., Curewitz, D., Okino, K., ... Parson, L. M. (2001). Hydrothermal activity along the central Indian Ridge: ridges, hotspots and philately. EOS: Transactions American Geophysical Union, 82(47, Supplement), p.F663. James, R. H., Statham, P. J., Morley, N., & Burton, J. D. (1993). Aspects of the geochemistry of dissolved and particulate Cd, Cu, Ni, Co and Pb in the Dover Strait. Oceanologica Acta, 16, 553-564. Statham, P. J., Auger, Y., Burton, J. D., Choisy, P., Fischer, J-C., James, R. H., ... Wartel, M. (1993). Fluxes of Cd, Co, Cu, Fe, Mn, Ni, Pb and Zn through the Strait of Dover into the southern North Sea. Oceanologica Acta, 16, 541-552. Bentley, D., Lafite, R., Morley, N. H., James, R., Statham, P. J., & Guary, J-C. (1993). Nutrient fluxes between the English Channel and the North Sea. Actual situation and evolution since ten years. Oceanologica Acta, 16(5-6), 599-606. Millard, N. W., McPhail, S. D., Stevenson, P., Pebody, M., Perrett, J. R., Webb, A. T., ... Smeed, D. A. (2003). Multidisciplinary ocean science applications of an AUV: the AUTOSUB science missions programme. In G. Griffiths (Ed. ), The technology and applications of autonomous underwater vehicles (pp. 139-159). (Ocean Science and Technology; No. 2). Abingdon, UK: Taylor & Francis. Wood, C. C., Kelly-Gerreyn, B. A., Statham, P. J., Aldridge, J. N., Fones, G. R., Couceiro, F., & Thompson, C. E. L. (2011). Modelling macro-nutrient release and fate resulting from sediment resuspension in shelf seas. Paper presented at 12th International Symposium on the Interactions between Sediments and Water, United Kingdom. Wood, C. C., Kelly-Gerreyn, B. A., Statham, P. J., Aldridge, J. N., Fones, G. R., Couceiro, F., & Thompson, C. E. L. (2010). Modelling macro-nutrient release and fate resulting from sediment resuspension in shelf seas. 14th Biennial Challenger Conference for Marine Science, United Kingdom. Mowlem, M., Benazzi, G., Holmes, D., Morgan, H., Haas, C., Kraft, M., ... Burkill, P. (2006). Micro system technology for marine measurement. In Proceedings of IEEE/MTS Oceans'06 Conference, Boston MA, September 18-21, 2006 Piscataway NJ, USA: IEEE. Griffiths, G., Millard, N., Mcphail, S. D., Stevenson, P., Brierley, A. S., Fernandes, P. G., ... Burkill, P. (2001). Standard and special: Sensors used during the Autosub Science Missions programme. In Proceedings of the AUSI Sensors Workshop, Miami, 4 Apr 2001, Miami FL, USA (pp. [17p]). Miami FL, USA: Autonomous Undersea Systems Institute . Statham, P. J. (2000). Trace metals in waters, sediments and biota of the Solent system: a synopsis of existing information. In M. B. Collins, & K. Ansell (Eds. ), Solent Science - a review. Proceedings of Solent Science Conference, Southampton, 29 September 2000 (pp. 149-161). (Proceedings in Marine Science; No. 1). Amsterdam, The Netherlands: Elsevier Science. 26 PhD students successfully graduated and 7 others solely or in part currently supervised by PJS. 5 students successfully completed their MPhil degrees.